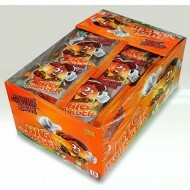 Spongebob Super Surprise Egg Box Of 24 Units. 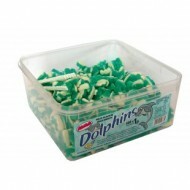 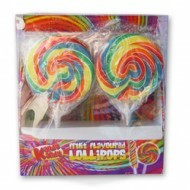 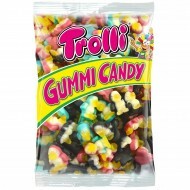 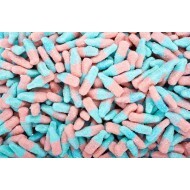 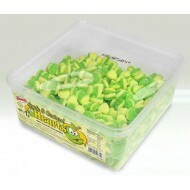 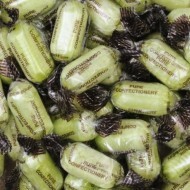 Trolli gummi candy Marguerite la Vache (1000g) Bag .. 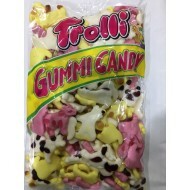 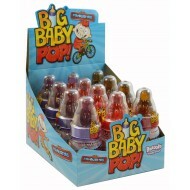 Details about Trolli Pingummi Gummi Candy (1000g) Bag ..
bazooka Big Baby Flavoured candy sherbet Pop 12 x 1 Unleash your inner child with Big Baby pop! 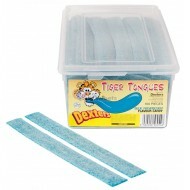 Lick..
Dexters Tiger Tongue Blue Raspberry GELATIN FREE x Tub of 160 Fruit Flavour Jellies ..
FIZZY BLUE BOTTLES RETRO JELLY CANDY SWEETS 500g Bags FREE POSTAGE Halal .. 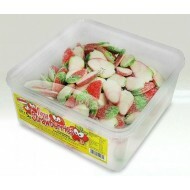 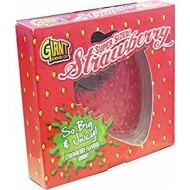 Giant Candy Co-Super Sized Strawberry 800g Ingredients. 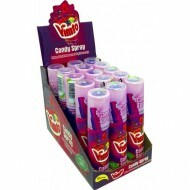 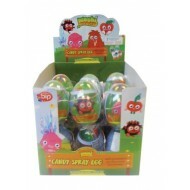 Glucose Syrup, Sugar, Water, Gelling A..
kandy kandy mixed fruit Flavour hard candy ROUND LOLLIES 125G BIG 8 PIECES Warning ..
Kingsway Chocolate Limes Hard Boiled Wrapped Lime Flavour Sweets 1kg Bags FREE POSTAGE ..
Moshi Candy Spray Egg Great for any fan the Moshi Monsters Candy Spray Egg is a great..
NEW Big Burger Gummi Zone Candy Sweets - Wholesale Box of 18 HALAL .. 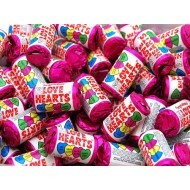 Ingredients > Ingredients Water, Sugar, Acid (Citric Acid), Acidity Reg..
50 MINI LOVE HEARTS Retro Sweets PARTY BAG FILLER WEDDING FAVORS also good for kids par..
ALMA APPLE & CUSTARD HEARTS FRUIT FLAVOUR JELLY SWEETS HALAL TUB 600 PCS INGREDIEN..
Alma Blue & White Dolphins FRUIT FLAVOUR JELLY SWEETS HALAL TUB 600 PCS ngredients: Glucose..
ALMA FIZZY STRAWBERRIES HALAL STRAWBERRY FLAVOUR JELLY SWEETS 120 PCS TUB ..